ArcSoft is a global leader in imaging intelligence technology. 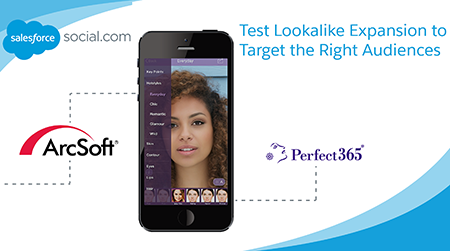 It makes the most popular free makeup app for mobile devices, Perfect365. This case study gives insight into Lookalike Audiences, a powerful way of targeting Facebook ads to the most similar existing custom audience or a group of Facebook users who have responded to a prior campaign, such as anyone who has installed your app or watched your video. A more similar audience produces a cheaper CPI. Tiering 1%, 2%, and 3% Lookalike Audiences increased app installs by 260%. Testing audience segments drives app installs. Learn how you can use Lookalike Audiences to expand and optimize your Facebook campaigns with Social.com.